You are here: Home / General Management / Has Interim Management & Virtual Employment Reached Critical Mass? Are we heading towards what some have termed the “1099 economy”? For those of you outside of the US, 1099 refers to the tax form which defines money earned as coming from “contract work” rather than as a permanent employee of a company. A recent article headline by TechCrunch read “In the Future, Employees Won’t Exist“. The article goes on to discuss the phenomena of the new “sharing economy” companies such as Uber and several others. There are even more of that ilk the article didn’t mention that are also very successful such as Freelancer.com and Instacart. These companies are definitely disrupting and modernizing market segments that have been slow to change over time. But it’s very possible that this business model will be limited to distinct market segments with very particular characteristics. In addition, the UK-based Interim Management Association recently reported a 23% uptick in inquires, a 5% increase in actual interim assignments and a 12% increase in interim assignment length. But I hesitate to apply these statistics to other areas of the global economy. Europe and the UK in particular have long been strongholds of the interim business. This is due mostly to the stringent labor laws which make firing employees difficult–and therefore giving great pause prior hiring them. These laws probably present a special case for the interim business which won’t ever apply outside of the Eurozone. Lastly, a late 2014 article in Entrepreneur Magazine also detailed how small business have been increasing their use of contract labor as a percentage of total expenses. So maybe there really is a growing trend in the direction of “on-demand” labor across broader markets. On the other hand, I see no personal evidence of a trend toward Interim and contract labor. My personal interests lie generally with knowledge workers (rather than low cost labor) and specifically in the interim executive and management consulting segments. Even more specifically this interest lies with those topics within software and hardware companies, where my the bulk of my firm’s consulting and interim practice is conducted. In these areas I see progress toward broad acceptance of “contract-style” work to still be quite slow, especially in areas within a tech company that are viewed as “core” to the business. In my own anecdotal experience most managers–and I find this to be generally true across all geographic, demographic and vertical categories in the technology industry–still strongly prefer a full-time employee sitting at a desk or in an office within their normal view. I’m actually quite surprised to believe that this is still the case in 2015, especially among the younger demographic which has grown up with technology-driven communications. But I really haven’t sensed all that much of a change since I began my consulting and interim management career. Will this eventually change–and progress much like we find Uber disrupting the taxi business today? Maybe. But I’m not convinced yet that it will ever happen and I expect it to still be a very slow transition even if it does. I don’t want to imply that very few folks out there are open to contract workers generally and interim management specifically. But what I do find is that senior executives tend to be in one camp or the other on this issue; there are very few who are wavering in the middle. Imo, the segment of senior executives that are very open to or enthusiastic about Interims are definitely in the minority and their numbers don’t seem to be increasing very rapidly. Immediate Stability in Times of Need – Interim managers can make a tremendous difference in times of change and crisis – which tend to happen frequently in fast-moving tech businesses. Even for a role where you believe a permanent employee is vital, it may easily take a 3-6 month search to find the right person. What happens to the organization in the meantime? Maybe that role remains empty during that period, creating a vacuum of leadership. Or an ill-prepared junior manager is temporarily lifted into that role. Maybe worst of all, you rush the search for a permanent replacement and “botch it” as a result. Bringing in an experienced senior interim executive who can start within days, hits the ground running and can fill that role for as long as required can add great stability to your organization. Unbiased Expertise – Often bringing a senior interim executive into a software or hardware business can bring great benefits of it’s own, regardless of the situation you are bringing them into. An interim will walk in with a fresh, unbiased look at your business; he or she hasn’t been influenced by the ongoing body blows they may have taken while within the bunker in your company. Bringing an interim manager in between permanent employees can as a result often offer great benefits, even if the timing of filling the role doesn’t appear critical. Unencumbered by Politics or Career Planning – Along the same lines as the unbiased expertise detailed above, interims are usually not adversely influenced in their decision-making by internal company politics or the perceived need to toe the company line to keep their career moving ahead. If you have an “emperor has no clothes” type of issue–and you might, but don’t know it–an interim is in better position to “shoot straight” and “tell it how it is” on the critical issues of the day. Top, Experienced Talent – In many circumstances it may not even be possible to hire a permanent employee of the same caliber that you can retain in an interim. Maybe you have an under-capitalized startup, require long hours due to explosive growth, have a business in short-term free fall or your company has developed a bad reputation as a place to work. These usually aren’t impediments to bringing on top interim talent; interims expect difficult circumstances and view them as a challenge. You could hire a permanent employee of lesser pedigree. But why not first consider bringing in a more talented interim, who can improve the situation and allow you to hire a better permanent manager in the future as a result? Sense of Urgency – Sometimes it’s easy for a permanent employee to view a problem as something to “deal with tomorrow”. Interim managers serving in hardware or software companies have a shorter timeframe to make an impact, so they are generally in a bit more of a hurry to effect positive change. Many times technology companies can become stagnant in certain activities and the influence of an interim manager can reinvigorate the necessary process of constant change and improvement, which is so important in software and hardware-based businesses. Find and use the best person at the best price – Lastly, it may make great sense from a value perspective to hire an interim manager for your tech company. This may not seem realistic to many readers, since the rates charged by interims usually greatly exceed the pay rate of a corresponding permanent employee. This difference is usually one of the biggest impediments to the hiring of interims. But in reality, this common comparison is often one of “apples to oranges”. Interims don’t receive benefits, annual bonuses, stock, etc., which greatly adds to an employee’s true cost. If you need to get rid of an employee who doesn’t work out, the cost goes up greatly due to severance benefits. In addition, permanent employees are often hired to perform “jobs”, when really what you need are “projects” with a real end date or goal. With this ill-advised hiring you’ve added to your permanent overhead needlessly. I see this hiring frequently adding to a creeping rise of the fixed cost of the business over time. This type of permanent hire probably has one of the biggest negative impacts on your business in the long-term. What’s your view on interim managers and the emerging temp economy? This article is necessarily colored by my own anecdotal experience. What has your experience been? I’d love to hear your own stories and opinions on this topic. Post a comment below with your own take. Thanks for the timely and relevant article. I provide Interim Executive value with retail business owners. I’ve been doing this over the last 5 1/2 years. Anecdotally, I haven’t seen an upswing in awareness or interest in the Interim Executive value propositions. However, when I meet with a business owner and explain, they most often want to hire me. 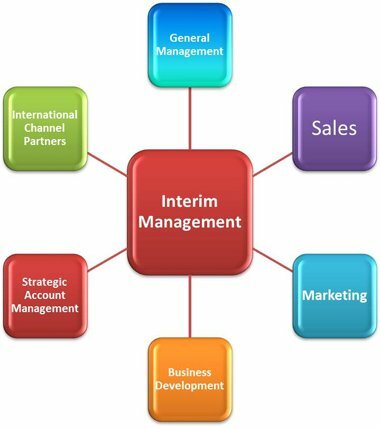 So, I think ‘awareness’ of Interim Executive as an option is a big reason their is not more demand. Have been in interim management for 14 years from aviation through to a zoo. Its true is is more common in Europe, but would dispute the point that we are only hired because its hard to fire people. Michael, thanks for your comments. Just to clarify,I don’t believe that the article says that interims in Europe are “only hired because its hard to fire people”. I certainly didn’t mean to imply that. I list the labor laws as a major contributing factor as to why the rates of Interim engagement are higher in Europe than in the US – which I believe it is.